New to WordPress and not quite sure how to get started? Perhaps you’ve been using it for a while, but are having a little trouble getting your site exactly how you want it? Or maybe you build websites for other people, but your clients are struggling to get to grips with things, and you’d like to give them access to some online tutorials and the like? 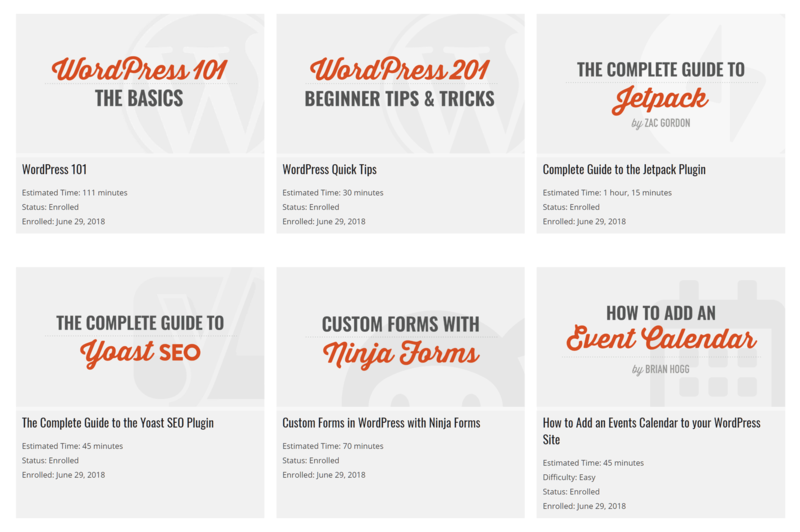 WP101 is a collection of online WordPress tutorials aimed at solving exactly these kind of problems by providing courses to help people to better understand — and make use of — WordPress. But are these courses any good? What do they cover? And, perhaps most importantly, are they worth paying for? As a quick overview, WP101 is a paid subscription service that offers well-organized, narrated video tutorials and courses covering WordPress and some of its most popular plugins. WP101 was founded in 2008 by Shawn Hesketh, a freelance designer with a 26-year career behind him. During his time building WordPress websites, Shawn provided one-to-one training for his clients, before deciding to create a video course enabling him to share his expertise with a wider audience. More than two million WordPress users have now accessed the courses, and the videos have been licensed by many companies, including GoDaddy, Liquid Web, Pressable, Media Temple, WooCommerce, WPBeginner, and even NASA. WP101 video courses start with the basics and go beyond — including WooCommerce and Yoast SEO tutorials. WordPress 101 Tutorial for Beginners. 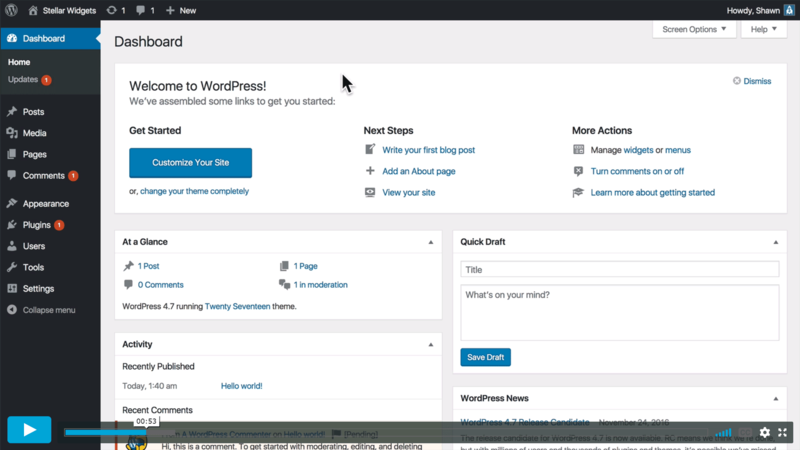 WordPress Beginner Tips and Tricks. 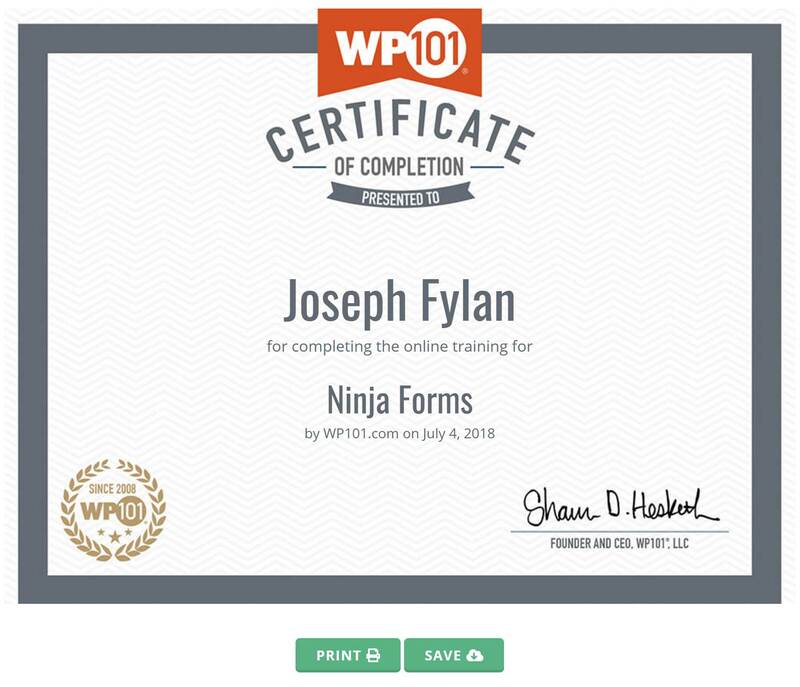 Custom Forms in WordPress with Ninja Forms. 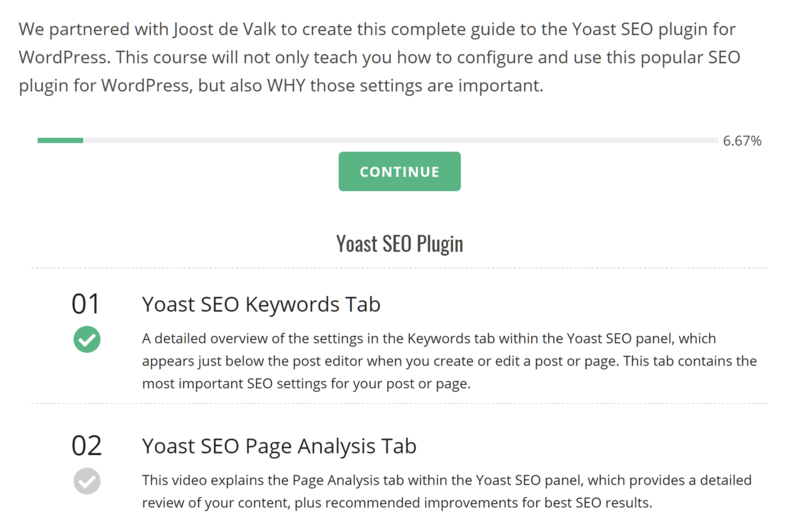 Complete Guide to Yoast SEO. Easy Email Newsletter with MailPoet. How to add an Event Calendar to WordPress. Beaver Builder Basics (coming soon). iThemes Security Pro (coming soon). 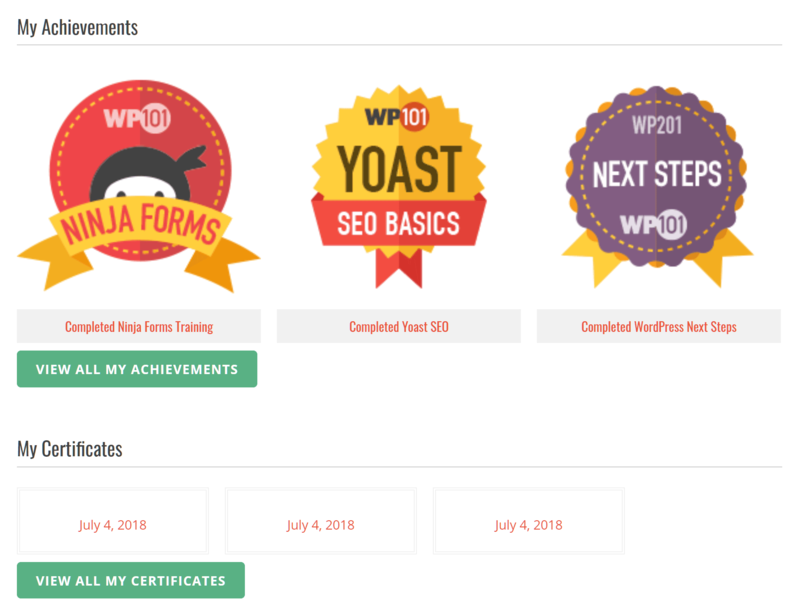 As you can see, if you want to master WordPress, as well as learn how to use some essential plugins such as Yoast SEO, Ninja Forms, and Jetpack, WP101 has video courses to get you up to speed. Also, if you’re planning to create an online store with WordPress, the two WooCommerce courses are aimed at you. 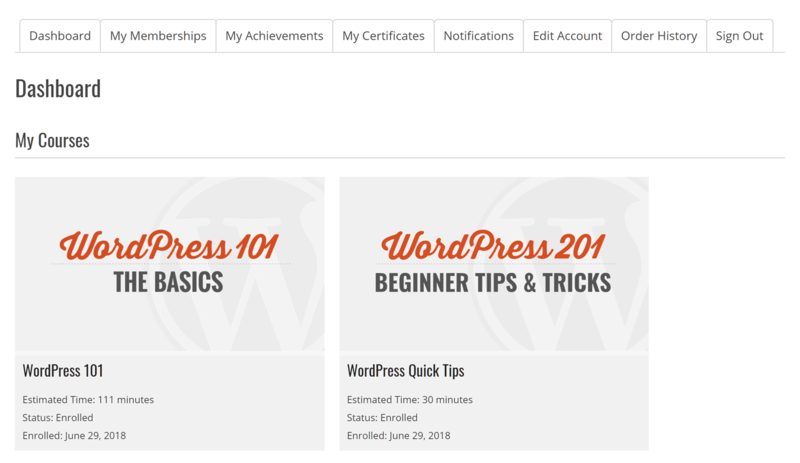 The lengths of the WP101 courses vary, but, to give you an idea of how much information they contain, the WordPress 101 course is 111 minutes, the WordPress 101 Beginners Tips and Tricks course is 30 minutes, and the 22-part complete guide to WooCommerce course is 98 minutes. Although most of the WP101 videos are reserved for their paying customers, the first videos from some of the courses are available for free. This means you can check out the quality of the videos yourself before signing up. 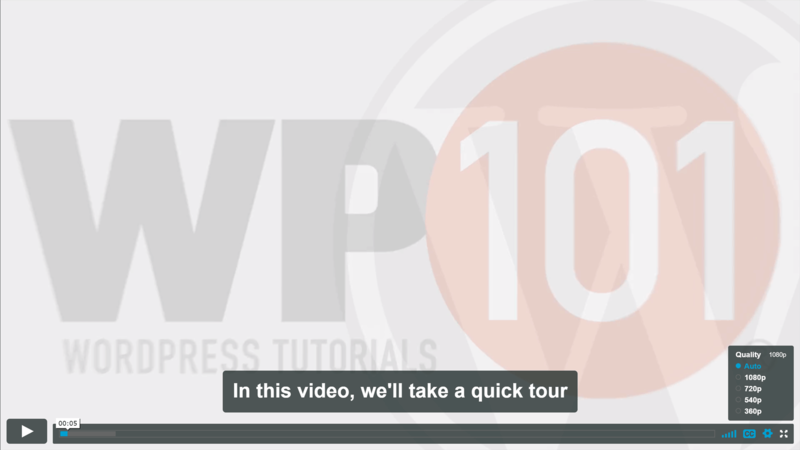 The video tutorial on the WordPress Editor is a good example of the type of content produced by WP101. The WP101 videos have optional caption subtitles in English, with some videos also having Spanish subtitles. You can view the quality of the subtitles in this free Ninja Forms video. As well as the decent lengths of the courses, the video tutorials that make them up are very well presented. While the video and audio quality is very high, more importantly, the information is well delivered and everything is covered step-by-step in an easy-to-follow way. It’s clear the narration has been scripted, with no unintended pauses, fillers, or other speech disfluencies. Furthermore, the videos are updated each time the WordPress software and the plugins that are covered are updated. Because of this, you can be sure that, as long as you’re running the latest version of the software, what you see in the videos will match what’s displayed in your WordPress dashboard. The WP101 video player interface is easy to use, as you can see for yourself in this video on the difference between WordPress posts and pages. Once you’ve signed up with WP101, you’ll automatically have access to two courses: WP101 the Basics and WP101 Beginners Tips and Tricks. The courses you’ve enrolled in can be accessed from your WP101 dashboard. You can then jump straight into either of the two WordPress beginner-focused courses, or view the list of other video tutorials that you now have access to. If you find a course you’d like to take, simply click on the ‘Take This Course’ button to add it to your dashboard. Joining a course is easy once you’ve signed up with WP101. The course, along with any others you’ve added, is then displayed in your dashboard for quick access. Even users taking advantage of the seven-day free trial get access to all of the WP101 content. You can quickly access your courses through the WP101 dashboard. Once you’re ready to take a course, you can simply click on the link to get started. A progress bar is displayed to make it clear how much of the course you’ve completed. To keep you on track, the modules are checked off as you complete them. Course progress is tracked through your dashboard. The course videos are displayed on the website via an embedded video player, and you can easily switch to full-screen mode if necessary. Much like YouTube, the player settings make it easy to change the resolution and quality of the video playback — something users with limited bandwidth should find useful. 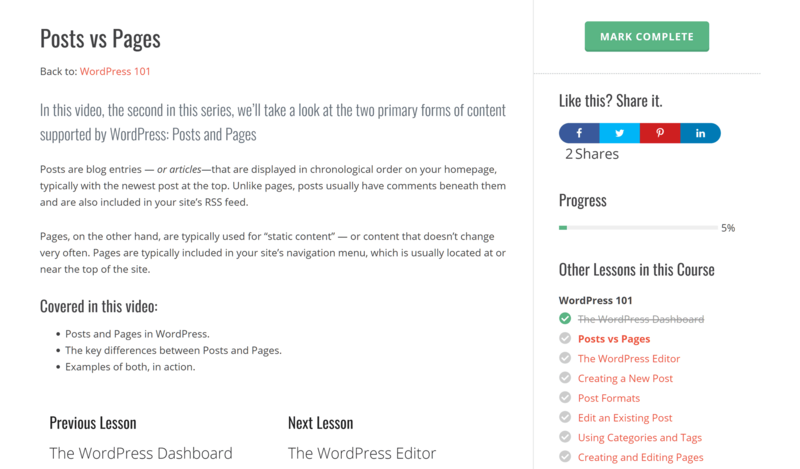 As you can see in the above video on the WordPress dashboard, the WP101 user interface is clean and distraction free. As well as the English narration, closed captions in English are provided for all videos, as well as Spanish subtitles for some videos. Enabling or disabling the subtitles only takes a few clicks of the mouse. As well as enabling the closed captions, you can also change the video quality. The pages that display each video also include text that outlines the lesson content and explains what you can expect to learn. You can also quickly see how far you’ve progressed through the course and which tutorials are still outstanding. Each tutorial is accompanied by a text description, as well as quick links to the other videos in the series. Helpfully, as soon as you click the ‘Mark Complete’ button, you’re taken to the next video in the series. Then, when you reach the end of a course, there’s a link to some recommended resources. However, this page is mainly a collection of links to WordPress hosting services, plugins and themes. The recommended resources page contains links to useful WordPress products and services. Each of the course video pages contain a button with the text ‘Ask a Question’. Clicking this link takes you to the WP101 members-only question and answer forums, where you can search the archives or ask the community any WordPress-related questions you may have. Although anyone can access the forums, only members can post questions. 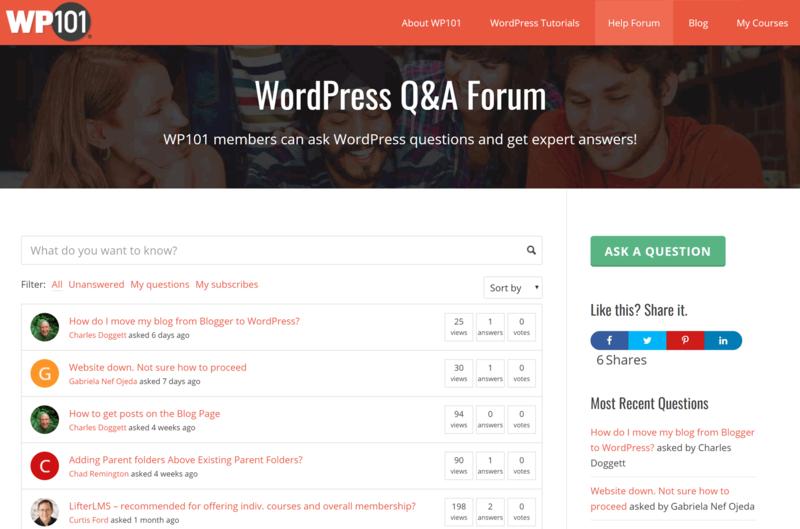 Members can access the WP101 question and answer forum for help with WordPress. Once you complete a course, a badge is added to the achievements section of your WP101 dashboard. You can quickly see which courses you’ve completed in the achievements section. You’re also awarded a certificate for each course you complete, which you can print, save to your computer, or upload to your portfolio or profile on a site such as LinkedIn. Certificates are awarded upon course completion for printing out or publishing online. Overall, accessing the WP101 courses and their video tutorials is very straightforward. You can quickly see at a glance which courses you’ve completed, as well as your progress on any of the courses you’ve added to your dashboard. Monthly All-Access Pass: $19 a month. Annual All-Access Pass: $49 a year. As these are all-access passes, you get unlimited access to all nine courses and the 161 video tutorials they contain. You’ll also get access to any new content that’s added — such as the forthcoming Beaver Builder and iThemes Security Pro courses — while your subscription is active. Although both pricing options include a free seven-day trial that lets you access and test out all of the WP101 content, your subscription will auto-renew until you cancel it. There’s also a WP101 licensing program that gives you the right to display a selection of the video tutorials on your own website. The videos are still hosted by WP101, but you can embed them into your web pages, providing your audience with high-quality WordPress tutorials. If you run a membership site or blog about using WordPress, or offer WordPress-related products to customers who would benefit from access to video tutorials, the WP101 licensing program may be of interest. You also have the option of removing the WP101 branding and adding your own logo to the videos. The WP101 team also have another product called WP101 Plugin. 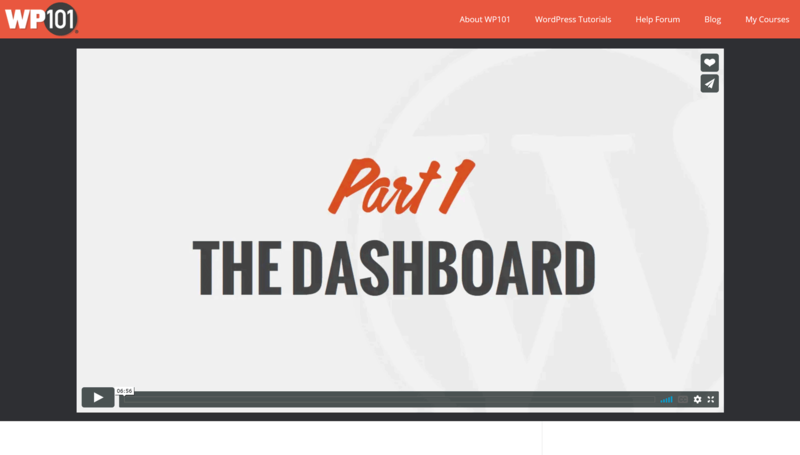 Once the plugin has been installed on a WordPress website, users can access all of the 99 WP101 videos — right from inside the WordPress dashboard. The target audiences for the WP101 Plugin are web designers and developers who’d like to give their clients access to a series of professionally produced WordPress tutorial videos. This benefits them by reducing the amount of time they spend creating documentation and teaching their clients how to use WordPress, as well as fielding calls from clients who’ve forgotten how to create a new blog post or aren’t sure which Jetpack modules to enable. 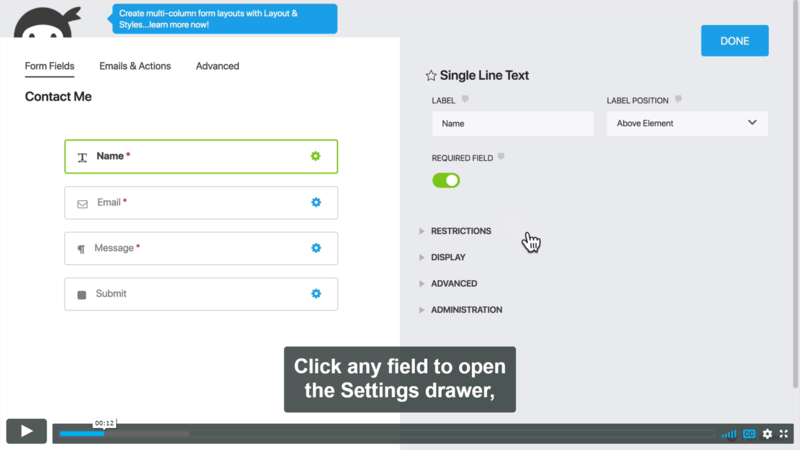 Although the WP101 Plugin includes the 20 WordPress videos, 42 Jetpack videos, 22 WooCommerce videos, and 15 Yoast SEO videos from WP101 — all with closed captions — you can easily configure which videos are shown to your clients. This is ideal if you want to avoid confusing clients with videos about setting up an ecommerce store when they’re only running a blog. You can also add your own videos to the WP101 Plugin area, covering any additional aspects of WordPress that are relevant to your users. All of the WP101 videos are streamed from the cloud, so you don’t have to worry about them impacting the performance of your client’s website or consuming your hosting storage and bandwidth allowances. 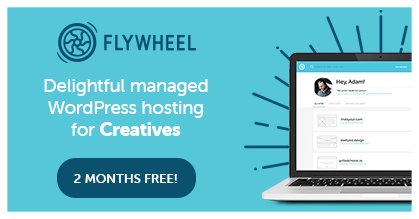 WP101 Plugin Freelancer Monthly: $19 a month for use on unlimited client sites. WP101 Plugin Freelancer Annual: $199 a year for use on unlimited client sites. WP101 Plugin Individual Site: $39 a year for use on one website only. 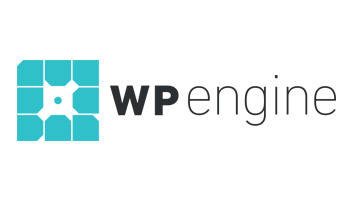 You can try the WP101 Plugin risk-free for 14 days to see if it’s a good fit for your clients. While you can probably find similar topics being covered for free on sites such as YouTube, WP101 still comes highly recommended — and yes, in my opinion, it’s well worth the money! Having fingertip-access to high-quality video tutorials that are well organized for easy progression makes WP101 an investment that’s easy to justify if you’re serious about learning how to use WordPress and some of its most useful plugins. Features such as the awards and certificates, as well as the question and answer forums, are nice extras too. Also, thanks to the videos being regularly reshot and updated, any changes to the way WordPress and the plugins work will be reflected in the tutorials. As well as the main WP101 video courses, the WP101 Plugin is a useful product for web designers who want to reduce time spent on helping their clients use WordPress. 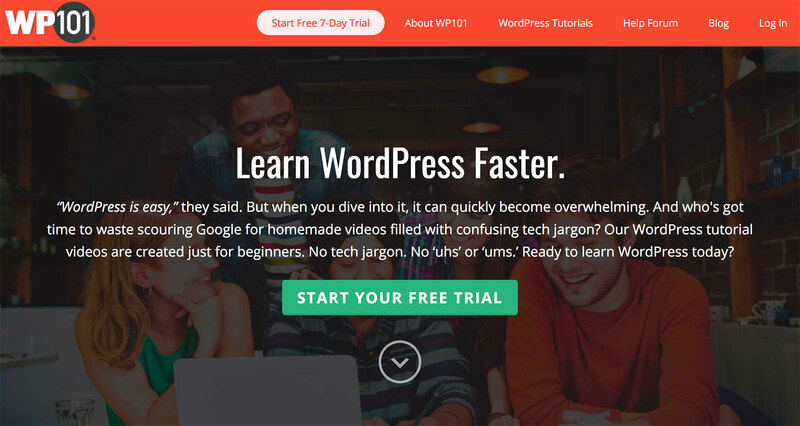 If you want to get better at using WordPress, WP101 is a great option with a free seven-day trial that includes access to all of their content.